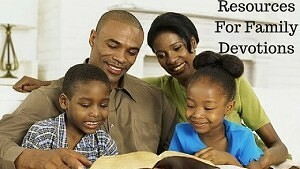 Does your family have a time set aside for family devotions? This subject has been talked about but what are some resources to do that? A few days ago, I shared about passing on your faith to the upcoming generations. This starts with parents as the main disciple makers in their homes. Start your children young. I would recommend that you could start as soon as your child is old enough to sit still for a few minutes. We started reading Bible stories to our oldest when he was just a little over 1 year old. While he might not understand some of these truths now, it does begin to mold their hearts. He has gotten use to our pattern to pray with him. He even imitates praying before he eats. He loves singing songs. His favorites are: Amazing Grace, Jesus Love Me, My God is So Big, God is so good and we are working on some more. He is only 2 ½ so he can’t sing very well much less even know all the words. But he is remembering more and more. Martin Luther and other reformers came to realize that theology could be taught through song. And they began to write hymns to convey and teach spiritual truths. This is one reason why we should teach our children songs about God. These next few links are CD’s. My wife and I downloaded them to ITunes. We turn this on at night to put our boys to sleep. They are beautiful songs and helps with teaching hymns and scripture. This is our favorite one. It points to Christ in every story. Character Sketches is geared for older elementary age. It mixes the study of character, Bible stories and fascinating stories in nature. Keys for Kids are a radio program and they also offer great family devotions for all kids. This was one of my favorite programs to listen to as a kid and teenager. There are some great Bible lessons to talk to your kids about. It also helps them use their imaginations. Bible Charades – We play wit hone person starting out acting out their favorite Bible story. Whoever gets it right is the next person to go. Name that tune – One way that my father was able to teach us some of the great old hymns was to whistle it to us and we would guess what song it was. If we did not know it, my father would teach us. Learned a lot of great songs that way. I am sure there are many more tools out there but theses are a few of my recommendations. How do you do family devotions? What do you use to do them? Here are some videos shows that you can use with your kids that are AMAZING! Highly recommend them. What’s In The Bible! – This is produced from the makers of Veggie Tales. It is an overview of the Entire Bible that your kids will love. AND you as a parent will learn a LOT from!! Great post! My favorite growing up was “Your Story Hour” with Uncle Dan and Aunt Sue. Jeremy, thanks for these resources this is great. I’ll have to bookmark this for future use.